Award-winning Peter Morgan talking about The Jury, which begins on ITV1 at 9pm tonight. 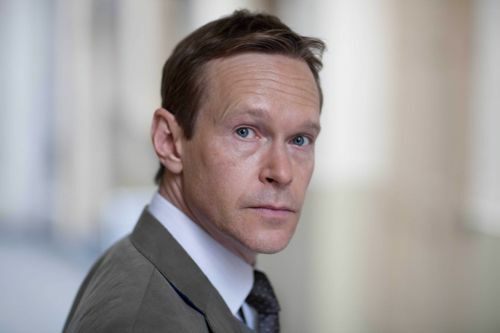 Peter wrote the first series of The Jury, screened in 2002. Returning from the world of feature films to create the second series – not linked to the first – which is broadcast across five consecutive nights this week. 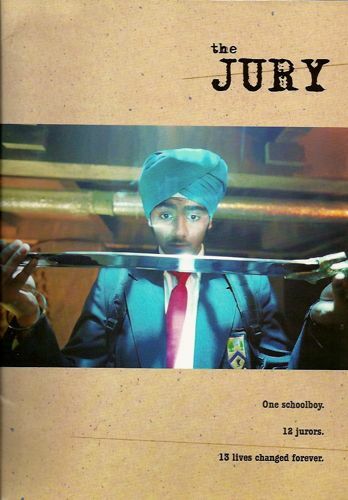 My feature on The Jury 2 was in Saturday’s MEN – and is online below. Followed by some extras from Mr Morgan. And then a quick look back at the 2002 series. 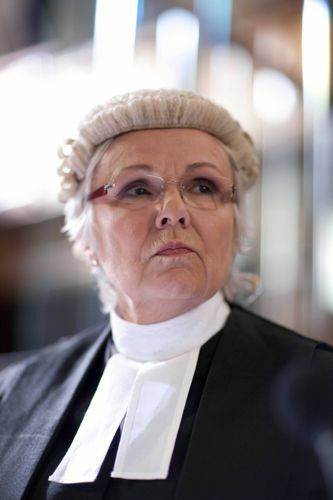 Julie Walters as Emma Watts QC. JULIE Walters can still recall the letter arriving to call her up for jury service in Manchester. Long before she became an Oscar-nominated actress, the Harry Potter star was a young student in the city. Although she wanted to do her duty, Julie was worried about the impact on her English and Drama studies at Manchester Poly, now Manchester Metropolitan University. “So I said I couldn’t do it and I’ve never been asked again,” she explains, having finally filmed her first ever courtroom role in The Jury (ITV1, Monday, 9pm). 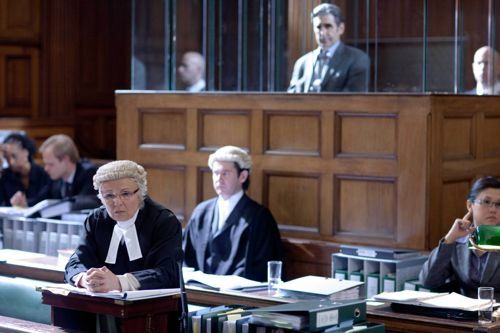 Julie, 61, plays defence barrister Emma Watts QC in the five-part serial which is screened across consecutive nights next week. 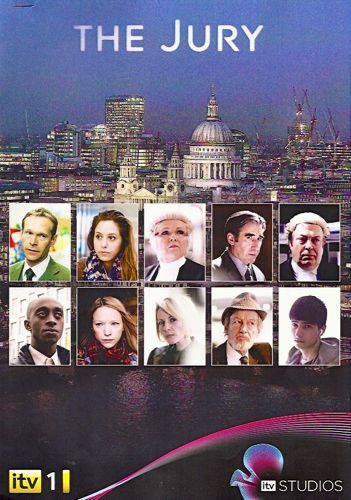 Award-winning Peter Morgan was “lured” back from the world of feature films to write the drama, having also created ITV1’s original The Jury, screened in 2002, when Derek Jacobi played the counsel for the defence. “I thought the original series was fantastic. It was one of the reasons I wanted to do it,” reveals Julie, who found parallels between barristers and actors. Peter’s subsequent credits include The Last King of Scotland, The Queen, Longford, Frost/Nixon, The Damned United and The Special Relationship. But he felt compelled to return to television for this production and already has ideas for a third series, if this one is a hit with viewers. “ITV owned the rights from the first one. I very much wanted to do the second part because I could see in my mind where this could possibly go and that it would offer an opportunity to explore any number of interesting, different trials,” he says. This latest story keeps viewers guessing until the very end about the guilt or innocence of Alan Lane (John Lynch) who is undergoing a re-trial after the Court of Appeal overturned his conviction for the murders of three women. It also tells the story of the 12 jurors both as they sit in judgement and their varied, often complicated, lives away from the court. Julie made up for lost time in Manchester, soaking up the legal atmosphere on visits to the Old Bailey and filming both there and in an authentic courtroom in Kingston, Surrey. “It’s very atmospheric when you get going,” smiles Julie, who as a Coronation Street fan will have kept a close eye on Fiz Stape’s own recent TV trial – also accused of a triple murder. Charismatic QC Emma is, by her very nature, a persuasive character who wants to get to the truth. “I’ve never played anyone like that before and I’ve never been in this kind of drama before. I loved all her speeches and the coolness and the clearness and the factual nature of it. There’s something very comforting playing somebody like that. The Billy Elliot and Mamma Mia! star’s only previous brush with the law was some 20 years ago, fighting and winning her case when she was accused of driving through a red light. By sheer co-incidence, the female QC who gave her some informal advice in court then was chosen to help Julie with her research for this role before she began filming. “She said, ‘You’re not a social worker. You’re there to win.’ QCs do play mind games with one another. There is definite competition but there is also a camaraderie. Everyone would, generally speaking, know everyone. She gave me loads of little tips like that. And that most QCs have terrible hair because of the wigs. Was she recognised at the Old Bailey? “I went in a couple of days with a QC and I watched two or three murder trials, just bits of them. Julie’s long career has included regular starring roles alongside Bury-raised Victoria Wood in shows like Manchester-set Dinnerladies, Acorn Antiques and As Seen On TV. “ITV hadn’t approached me and I hadn’t approached them. I assumed from their silence that they didn’t want one. And I think they assumed because I’d been writing films that I wouldn’t do one. And so we just got into this impasse of misunderstanding – then they asked me if I’d write something. And I loved writing it and really felt I’d missed it. “I really just wanted to write a character drama and the trial gives me the legitimacy to do that. But then when it gets into the trial bit I sort of go, ‘Ooh, yeah.’ I’m really happy there is the red-blooded meat and potatoes as it were of a whodunit. And I still can’t tell you which bit I like doing more. Probably the two together. “I tried writing The Queen without Tony Blair and it was really dull. And I’m sure if I’d have written about just Tony Blair…but somehow the two of them seemed to fit together as a story. I only unlocked the story about The Queen by having him in it. And similarly here. It unlocks the personal stories to have a crime whodunit go right through it like a skewer. His view on the UK jury system? “I’m of the view that any of us could have a really tough predicament in our lives and we could pick any 12 people and say, ‘What should we do? Should I marry this person?’ And there’s such a body of life experience – I’m trying to say I’m a big fan of jury service. “Although the criticism is that it’s costly and it tends to acquit, just the idea of an 800-year-old system that is still so integral and I don’t think any system that’s been designed to replace it has improved upon it. “I’m a big believer in the fact that the combined life exprerience of 12 people, whether you go from someone who can barely read and write to highly educated and rich and poor and Ango-Saxon, coloured, whatever, that body of experience taken collectively is very powerful. And there are so many nuances which even an unbelievably sophisticated legal system cannot address. Would he like to write a third series? “The short answer is, I’d love to. I’ve got two or three different ideas in my head already. And there are so many different horrors you can subject jurors too. And there are so many juror’s lives that can bring their personal experience to, perhaps, influencing it. A jury is so open – it’s heaven. I could happily start tomorrow. “One of these murders would normally take two to three weeks. It might be quite traumatic, the case, and what you hear might have a big impact on you. But actually it can be that you get really unlucky and you get called in for six, eight months for a fraud trial. Think of the impact that would have on your life? “I would like a jury to go through more pain than they go through in this one. And I would like to actually go and meet some former jurors who had been in a case that had gone on that long. 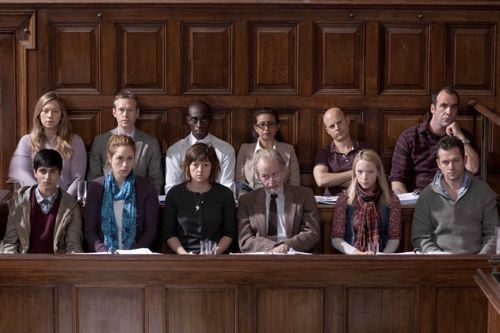 The Jury is a landmark and highly controversial new event drama for ITV1, starring a wealth of British talent including Derek Jacobi, Antony Sher, Mark Strong, Michael Maloney, Jack Shepherd, Peter Vaughan, Sylvia Syms, Tim Healy and Helen McCrory. Made by Granada Television, the six-part series tells the story of a shocking murder trial that will grip viewers from the first and keep them in suspense to the last. 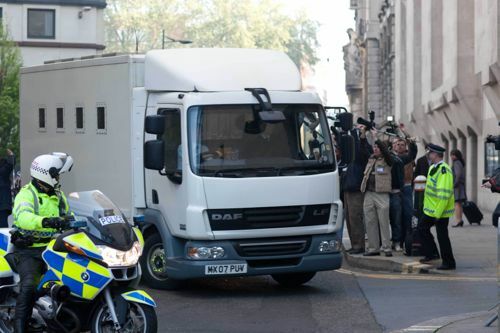 Granada’s crew was the first ever to be allowed filming access inside the Old Bailey. The Jury has at its centre a trial that is a microcosm of justice and race in the UK. A 15-year-old white boy has been killed in cold blood and his classmate, a quiet reclusive Sikh boy, is on trial for the murder. The 12 jurors find the eyes of the whole country fixed on them as they are sent on the biggest soul-searching journey of their lives. Posted in News and tagged ITV1, Julie Walters, Peter Morgan, The Jury. Bookmark the permalink. 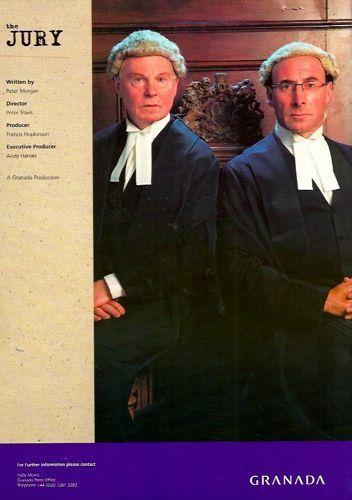 I never saw the original The Jury in 2002 since I didn’t have access to BBC domestic TV at the time (I live abroad), but this sounds excellent, especially with two fine actors like Julie Walters and Roger Allam.